The Wheels Manufacturing PF30 Bottom Bracket Adaptor adapts PF30 and Cannondale BB30-73A bottom brackets to use Hollowtech II cranksets. You may need spacers or a wave washer if you notice side-to-side play upon installation. A simple, very effective way to run Shimano cranks in a PF30 bottom bracket. 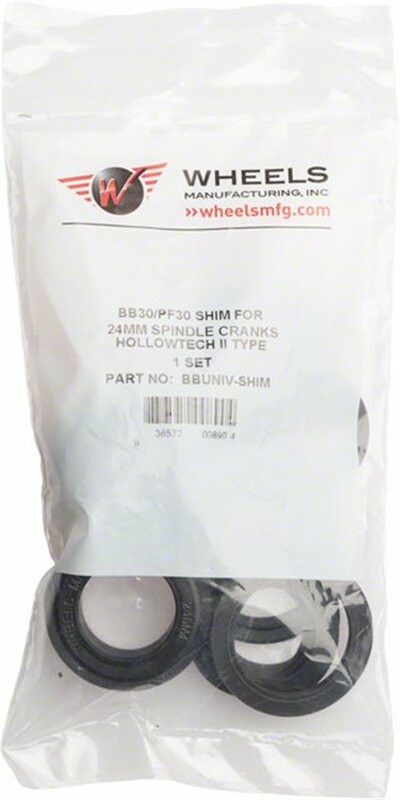 I have these our CX bikes and a Niner gravel bike and have had zero problems - no squeaking, creaking or weird shifting issues.